Apple on Tuesday added 16 new artists to the upcoming iTunes Festival in London bill, including crooner Tony Bennett, Mary J. Blige and opening act deadmau5. The new additions, spotted by The Loop, come more than one month after Apple first announced this year's iTunes Festival, and one week after an additional 21 acts were revealed. As seen on the iTunes Festival webpage, the updated card now includes deadmau5, Tony Bennett, Nick Mulvey, Rae Morris, Lisa Hannigan, Little Dragon, James Bay, Placebo, Ben Howard, Hozier, Mary J. Blige, Wolf Alice, Nicola Benedetti, Milo, Alison Balsom, and Foy Vance. While deadmau5 is now slated to open the festival in less than a week on Sept. 1, the closing act has yet to be announced. The 2014 iTunes Festival will run through the month of September at the Roundhouse Theater in London and features 60 artists with announced headliners including Maroon 5, Pharrell Williams, Beck, Sam Smith, David Gray, Kylie Minogue, Robert Plant, 5 Seconds of Summer, Calvin Harris and more. As usual, tickets cannot be purchased and are to be meted out to contest winners in Australia, Brazil, Canada, Europe, Japan, Mexico and the U.S. 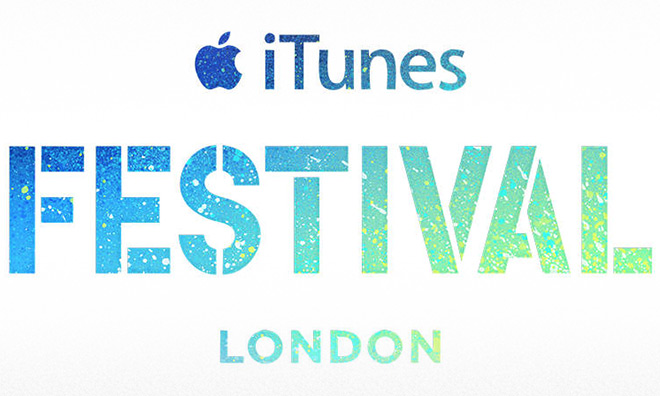 In the past, passes to the concert series were distributed through the official iTunes Festival app (currently only available in the UK), iTunes Store and local radio stations. Those unable to attend will be able to see shows on iOS devices and on desktop versions of iTunes, as well as free streaming to a special Apple TV channel. Fans can follow the latest event announcements through the @itunesfestival Twitter account and Facebook page.